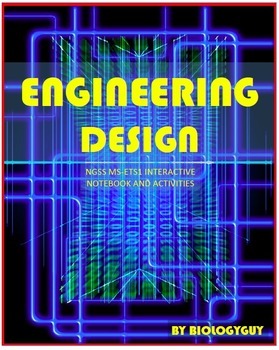 ENGINEERING DESIGN PROCESS, NGSS MS-ETS1, Interactive Notebook and activities, STEM, Design challenges, STEAM, Next Generation Science Standards, 18 pages, activities, foldables, information, quiz and answer key. Thank you for purchasing this resource “Engineering Design”. 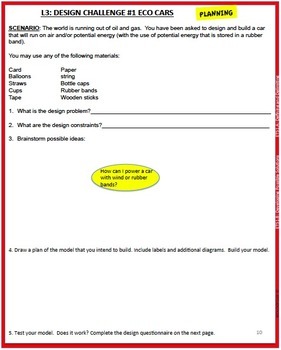 This resource is aligned to the Next Generation Science Standards MS-ETS1, it is designed to introduce the design process and allow your students to use the design process in building models to solve problems. This resource requires very little planning. It contains information, activities and challenges which will get your students to apply their knowledge of the engineering design process to real life scenarios. It is designed to be taught over a 1 week period. 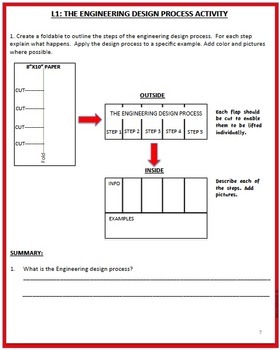 There are helpful worksheets to help your students plan their engineering challenges and helpful teacher notes; with quick and easy “how to” solutions, answers and rubrics. Each page also has performance and standard indicators, so that you and your students know which standards are being addressed. 1. 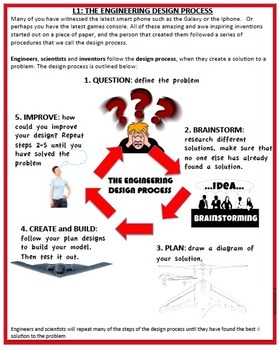 The Engineering Design Process. 2. What the Engineering design process looks like. 3. Engineering challenge #1 “Eco Cars”. 4. Engineering challenge #2 “The Tower”. I hope that you enjoy this resource.